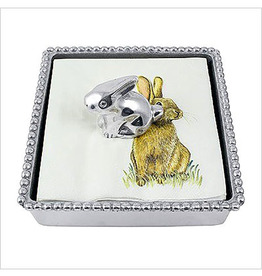 A Beaded Cocktail Napkin Box is paired with a Bunny Napkin Weight and stack of bunny rabbit cocktail napkins based on a hand painted design. 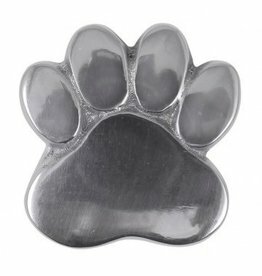 Created by hand sand casting from recycled aluminum. Hand wash with mild detergent to retain no-polish finish. This box combings a set of green and white trellis, cocktail napkins; a sculpted Sea Turtle Weight in green; and a Bamboo Napkin Box. Created by hand sand casting from recycled aluminum. Hand wash with mild detergent to retain no-polish finish. 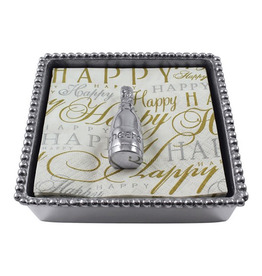 Unwind and enjoy a proper cocktail and add just a bit of cheer with out Corkscrew Beaded Napkin Box. Weight sits atop a remarkable stack of corkscrew napkins. We live in the Horse Capital of the World, so we need this, right? 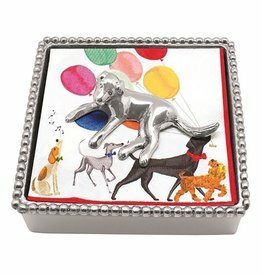 Our Riding Boot Beaded Napkin Box is a playful party accessory. A Riding Boot Napkin Weight stands atop a stack of spirited horse napkins. 100% recycled materials. Made by hand. Easy care with soap and water, towel dry. Avoid dishwasher and microwave. No polishing necessary, finish may be touched up with Simi-Chrome. Calling all craft beer connoisseurs! This IPA bottle is sculpted to look like your favorite brew and comes boxed with "Beer Here" printed cocktail napkins and a Beaded Napkin Box. Works for rolls and other items, as well as luncheon napkins. We like our whiskey neat. Mellow out with our Bourbon Beaded Napkin Box. A smooth Bourbon Bottle Napkin Weight sits atop distinctive, playful cocktail napkins. 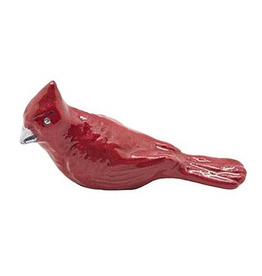 Charming red cardinal for your napkin box. Perfect year round and the holidays! 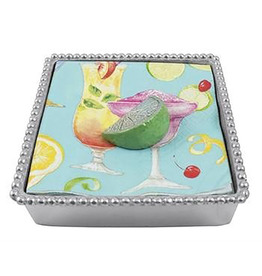 Also sold as a set with napkin box and matching cocktail napkins. 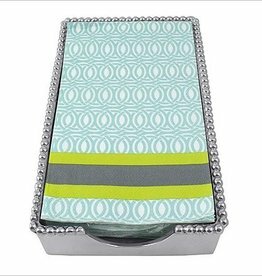 The Lime Napkin Weight is hand painted with bright green enamel. It looks so real you will want to squeeze it?right in to your next cocktail. Created by hand sand casting from recycled aluminum. Hand wash with mild detergent to retain no-polish finish. 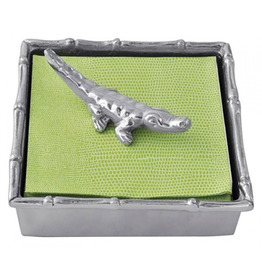 Four finely-detailed wings lay flat, as this stately dragonfly, rests on napkins in this beautiful pearled napkin box. Bring undersea treasures to your table with our Seaside collection. Place the delicately detailed Scallop Shell Napkin Weight on napkins or notes. 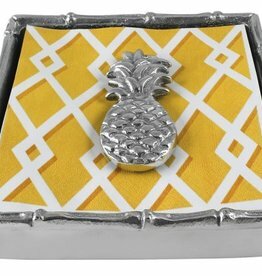 A magical symbol of hospitality, our sculpted, sandcast pineapple sits atop a grove of napkins with a geometric pattern of green bamboo. 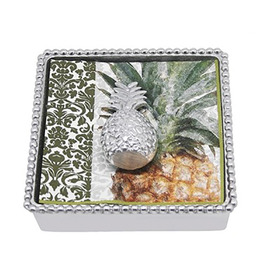 Pineapple Bamboo Napkin Box makes a lovely hostess gift! 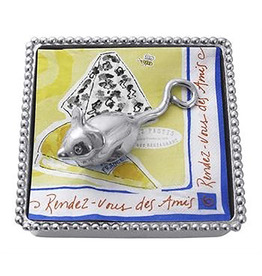 Take a ride with our charming Bicycle Napkin Weight. Handcrafted from 100% recycled aluminum. Item is retired with limited availability.